As modern dentists our goal is for you to keep your teeth for a lifetime. The reality, however, is that not everyone can. That’s when a denture specialist (prosthodontist) can help. It is very possible for most people to have dentures placed at the same appointment that teeth are removed. The biggest advantage to one-day dentures is that you never have to worry about going without teeth for any length of time. 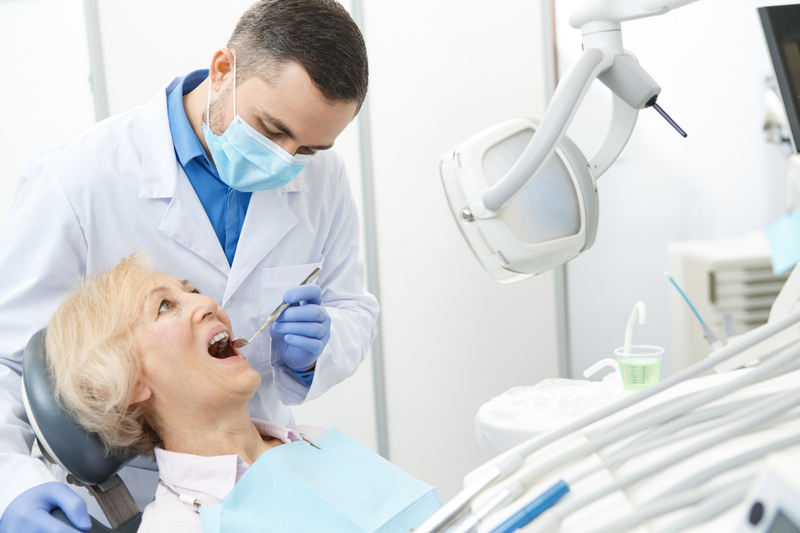 Whenever a full mouth extraction is planned, the process of preparing and creating dentures that will replace the removed teeth on the same day of extraction starts several weeks prior to the extraction procedure. Moulds are made of your mouth and natural teeth before teeth are removed. Right after your teeth are removed the new, immediate dentures are ready to be inserted. The new dentures can act as a band-aid for your gums. One-day or immediate dentures are often the best way to start with new dentures. You will need to be patient with your prosthodontist and let her help you through the transition. Your new teeth will require adjustments as the gums and bone shrink and you may need relines of the inside of the denture. After six months to a year most people have a second set of dentures made to fit the healed gums and the new jaw bone positions. If you would like more solid retention of your dentures, dental implants can be placed. Transitioning to dentures can be difficult. Beginning with the expertise of a board certified prosthodontist can help smooth out your journey to a great new smile.